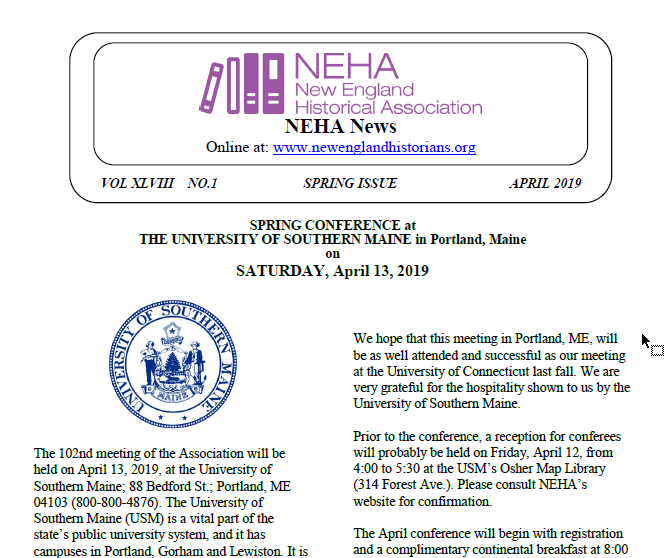 The Spring 2018 NEHA meeting will be held on April 14, 2018 at Saint Anselm College in Manchester, NH. Please download / post / share our flyer. The New England Historical Association embraces not only the history of our own region of New England and the United States, but is equally concerned with European and World History. As always, the program committee welcomes proposals on any subject, period, or geographical area from scholars within or outside the New England region. 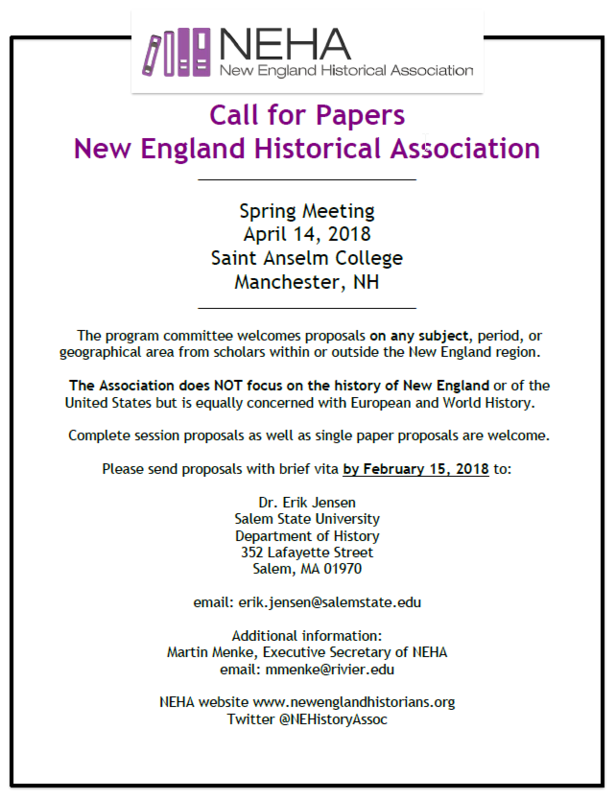 We are not limited to the history of New England; rather we seek the quality and variety of papers and sessions that might be presented at the AHA. We encourage proposals from both established scholars and graduate students; undergraduate papers may also be presented, with faculty sponsorship. Complete session proposals as well as single paper proposals are welcome. Please include for each participant the paper title, one-page abstract and brief CV.